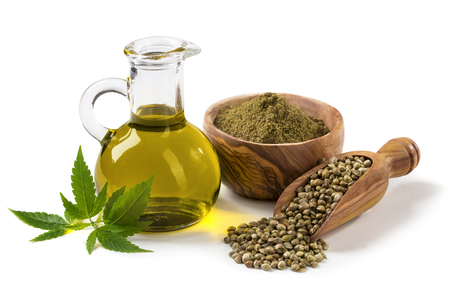 By now you probably know that there are numerous benefits to using CBD oil. Whether or not you achieve those benefits largely depends on how you use this product, which is why we would like to provide you with this handy guide. Which Type of CBD Oil is Best? Tinctures-The most common form, tinctures can be used to treat a variety of disorders, and allow for more precise dosing. Tinctures are taken by placing a few drops just underneath the tongue. Liquids or sprays-Like tinctures, they allow for more precise dosing, but often contain flavors that make them more palatable. They are also sprayed into the mouth or underneath the tongue. Chewing gum, a variety that is easy to use while on the go. However, it is somewhat more challenging to consume a precise dose, since you are limited to the amount of CBD oil contained in the gum. Capsules, which may be suitable for alleviating mental disorders or controlling blood sugar. They are taken orally, and may be combined with other food or drinks to help disguise the taste. Topical ointments, a preferred method for treating pain, inflammation, or skin disorders. This type of CBD oil is simply rubbed on the skin where and when it is needed, allowing for very targeted treatment. These are general guidelines, meaning your individual results may vary. Experts usually recommend starting with the lowest dosage possible and then increasing the amount you take as needed. When increasing dosages, it is best to do so slowly, gradually stepping up the amount over a period of three to four weeks. With CBD oil, you can be as diverse as you need to be in order to achieve the results you desire. Use the above information to help you develop a treatment regimen, and then continue to tweak your consumption however you see fit. Like many others, you will enjoy the freedom and flexibility that comes with using CBD oil.